Continued Conversation, first shown at Google IO in May, allows Google Assistant to automatically listen for followup commands after it answers the first question or command. This means you won't have to say "OK, Google" before every question or command in natural conversation. The Continued Conversation ends when you say, "thank you," or "stop," or when Google Assistant detects no speech for 8 seconds. Google isn't delivering this feature to everyone at once, though. Continued Conversation is rolling out. Only the English-language Google Assistant in the US is getting the update for now, and it's coming first to Google Home, Home Mini, and Home Max. Users outside of the US, or users who have Google Assistant set to a different language won't be able to use Continued Conversation yet. For those of you who that want to activate the feature, you'll need to access your Google Assistant settings, select Preferences, and then toggle on Continued Conversation. 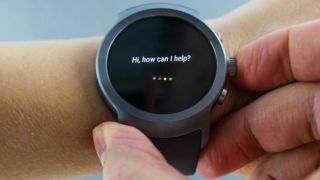 You'll still need to say, "OK, Google," or "Hey, Google," to start a conversation, but after that, Google Assistant will listen for followup questions and commands. Now, we just have to wait for the John Legend voice to roll out.